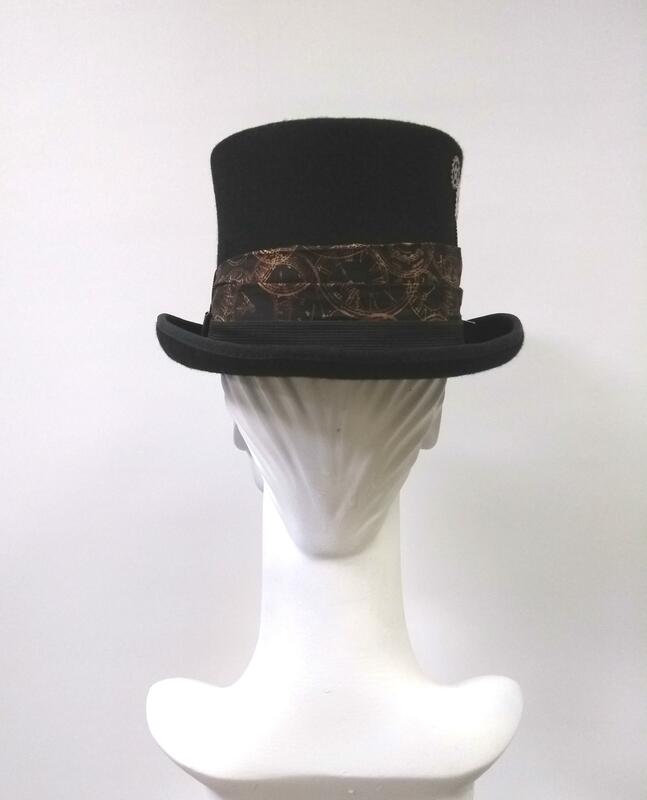 A hand decorated one-off top hat by Adrienne Henry Millinery. 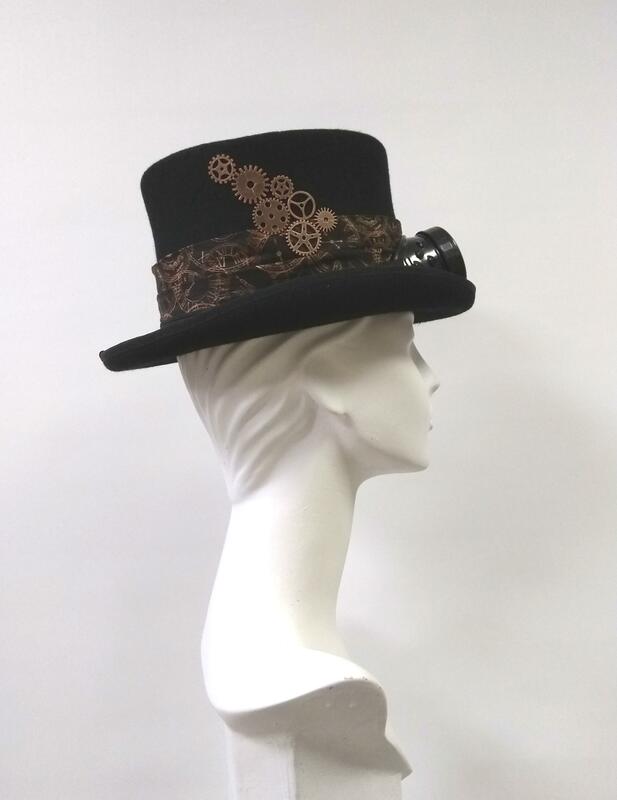 "Clocks and Cogs" - A black classic top hat with bronze coloured decorations. Decorated with a fabric cotton band with a bronze clock pattern, and bronze coloured cogs and wheels charms on both sides. All decorations are hand stitched on to the top hat by our in house milliners. 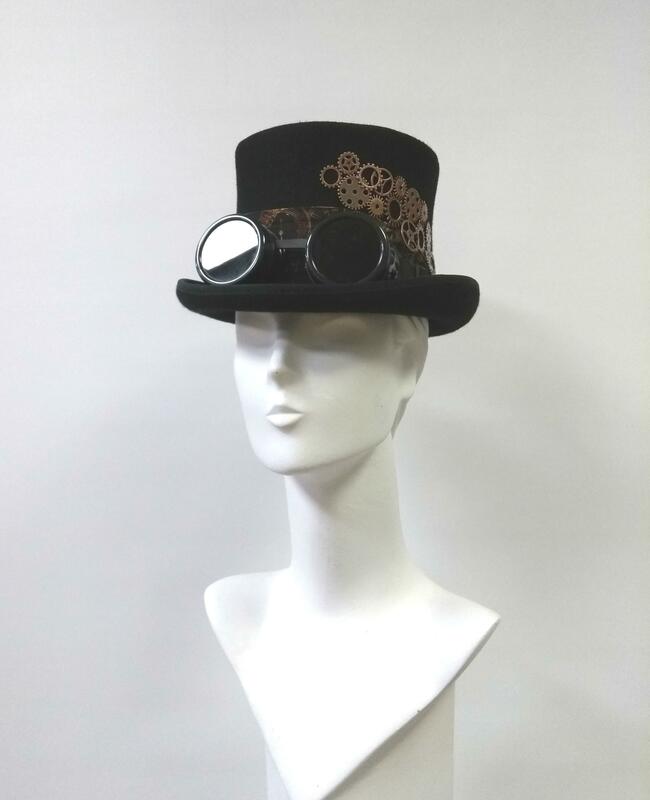 The hat comes with a free pair of removable black steampunk goggles. 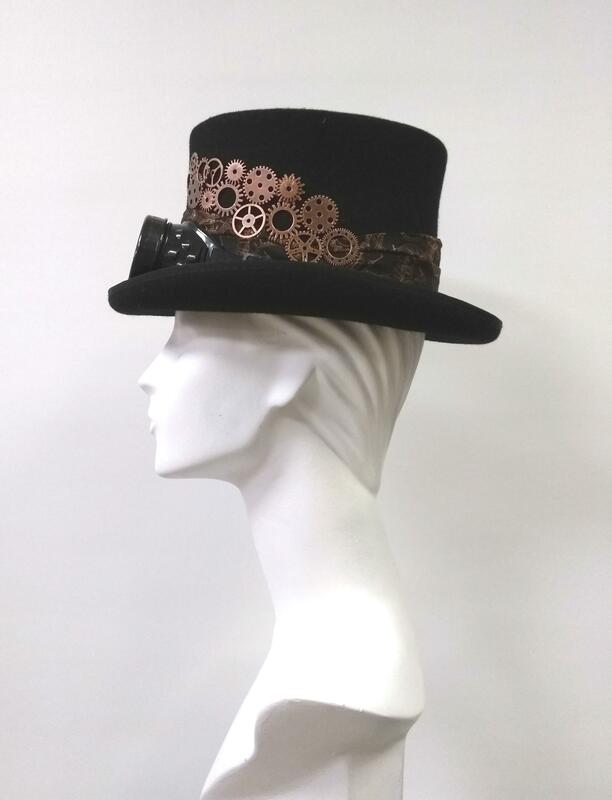 A great accessory for a Steampunk event or just to stand out from the crowd at a special occasion.